Seven years ago, I asked the partner of the law firm I worked for in Austin to do the impossible … make my full-time office job a work from home job. I was nervous asking for this, especially since I was still relatively new to the firm, but my boldness paid off. My position became a remote job, even after I no longer worked there. If you are interested in working your current job from home, let's talk about why your supervisor should let you, and how to ask your supervisor so they will say YES! 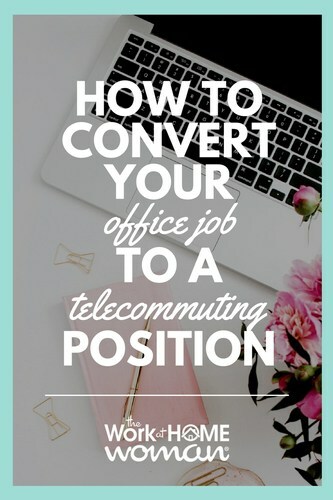 First off, is your job the type of position that can easily be done in a remote location? Here are a few questions to ask yourself, before you submit your telecommuting proposal. Do I need an office space with lots of expensive office equipment in order to do my job successfully? Do I meet clients/customers at the office on a regular basis? Do I need to regularly interact with the other office staff face to face in order to meet the demands of my job? Would my company/firm/employer benefit more from me staying in the office than working from home? Are you hard to motivate when it comes to doing your job or getting things done on time? If you answered yes to more than one of those questions, then your job might not be one that easily converts to telecommuting. My position at the law firm was full time, and I worked from a laptop to get all of my work done. I didn't use any other piece of office equipment, and I didn't meet with clients or even really use my office phone. Everything was done through email, and all paperwork was scanned by someone else electronically. But have no fear. Also if you do have to meet with clients, ask yourself if you could meet with those clients via Skype or FaceTime. And if you use the phone or office equipment see if it is something you can purchase for your house. Next, let's dive into why telecommuting has so many benefits for both employee and employer. The main reason I asked my boss to make my job an at-home position was because I was expecting my first child. The firm made it clear that I could take my maternity leave but it would all be unpaid, and I would have to hire and train someone to do my job while I was gone. Because I didn't use my phone or my actual office there in the building (except to sit there working on my laptop), I thought if I could do this job at home I wouldn't need to take a maternity leave, nor would I have to hire and train someone else to do my job. When I did submit my telecommuting proposal, I brought up these positive points about working from home. 1. The firm would no longer need to provide a physical office space for me. I was lucky in that the firm I worked for was looking to downsize their building and with me working from home that was one less office space, they would need to have. This saved them money when they moved to the new smaller location. 2. No extended leave of absences for maternity leave, or sickness. I pointed out to my supervisor that if I were able to work from home, even if I was on bedrest I could still get my work done on my laptop. Sticking to my promise was easy … I delivered my first child on a Friday morning (I took that day off) and was back to work on that next Monday resting comfortably in my bed at home. Anytime I was sick, or my children were ill I was still able to clock in and get all of my daily work done. In essence, my personal life never interfered with me getting my job done successfully. All the studies about workplaces show the same thing: happier employees make for better productivity outcome. There is nothing better than being able to make a steady income while staying at home with your children. Working from home is hard, sometimes stressful, and you must be motivated and disciplined to get the work done without a supervisor standing over you. But the benefits of not having to put your children in daycare, saving money on gas and work clothes, and still bringing income into the family budget far exceed the hard work. Another perk is the fact that you can work literally anywhere! If you have a vacation trip coming up, as long as your hotel has wifi, you can get your job done and travel! I know that benefit made me one happy employee. When you can work from home, there are a lot of benefits to the employee and most of the time the employer will only see those benefits. Something you can do that will make the offer of telecommuting more appealing to your employer is renegotiating benefits or salary. When I asked my boss about working from home I automatically resigned the next pay raise I was supposed to receive since staying at home would automatically save me money on gas, childcare, and a fancy work wardrobe. This surprised my boss but as I explained he understood the benefits of telecommuting far outweighed a twenty-five cent raise. Another thing you can negotiate is time off. I didn't use my legal right to have a maternity leave but only if I were working from home by that time. I rarely took vacation days since I could literally work from anywhere in the world as long as I had wifi access. Have ideas about what you might be willing to give up to work from home and be creative. This will show your boss you are serious about your request and have spent some time giving this some serious thought. So your job meets the requirements to turn it easily into an at-home job, and you have given this change some serious consideration. Now it is time for the final steps of your telecommuting proposal. Here are some helpful tips for this situation. Please don't ask your boss on Friday at 4:45 pm … he is only thinking about the weekend and could care less what you are really asking. You know your boss best. Are they a morning person? Ask them on Monday first thing of the morning. Are they more of an afternoon person? Ask them Monday after lunch. Don't spring this on your boss either by showing up at their office door unannounced. Set up an appointment time with them and let them know you have something to propose or discuss with them. This makes you look professional and gives them notice that you want to talk, so you don't catch them at an inconvenient time. We talked about giving this change for your job some serious consideration earlier. 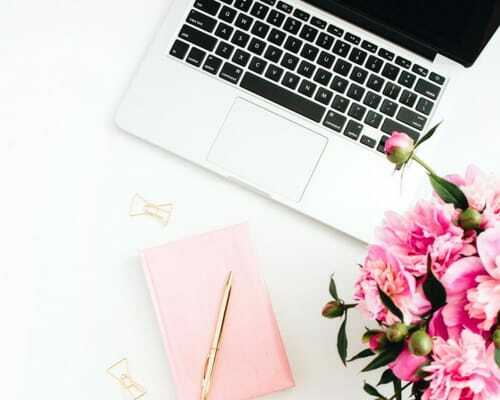 It is crucial that you think about all aspects of your job and you have a solution for anything that might make working at home more challenging for your position. Make a pros and cons list and have it with you at the meeting. Keep your request short and simple, and let your supervisor voice their concerns. Chances are if you have thought this through you probably have a creative and workable answer to their concerns. Even though you have made a great point of why you should work from home your boss might not say yes right away or at all. Give your boss time to mill it over and do not get angry or distraught if they say no. Leave the meeting with professionalism and strive to look to the future and maybe asking them again at some point. Some supervisors really like having their employees gathered working in one place, and you might not be able to change their minds. Accept it, and if working from home is something you have your mind set on maybe think about a career change. The point is to stay professional through the whole process. You don't want to make any work environment more stressful than it needs to be, and who knows, your boss might come back a week later and grant your request. I hope my advice has been helpful to you and your path to working from home. I know the change for me was so rewarding and I am thankful I had the boldness seven years ago to sit with the law firm partner and ask to work from home. Meghan Nguyen is the Owner of Meghan Nguyen Photography, a freelance writer, and dance teacher. Meghan enjoys homeschooling her two children and blogging about life at the Nguyen Nguyen Academy. While her family is based out of Oklahoma City, she has lived in three other states and enjoys extensive traveling. She holds a B.A. from the University of Texas in Austin in Cultural Geography and minor in History. Meghan enjoys all things creative and has felt blessed to be a work-at-home mother for the past seven years. Glad you enjoyed the tips, LaTersa!